As our February meeting this year fell on Valentine's Day, and some members said that they best spend the evening with their better halves rather than us, we felt it best to reschedule our club meeting! Instead we decided to hold February's meeting on a different evening -Wednesday 13 February. We also changed the venue to Indiaah in Pontyclun! 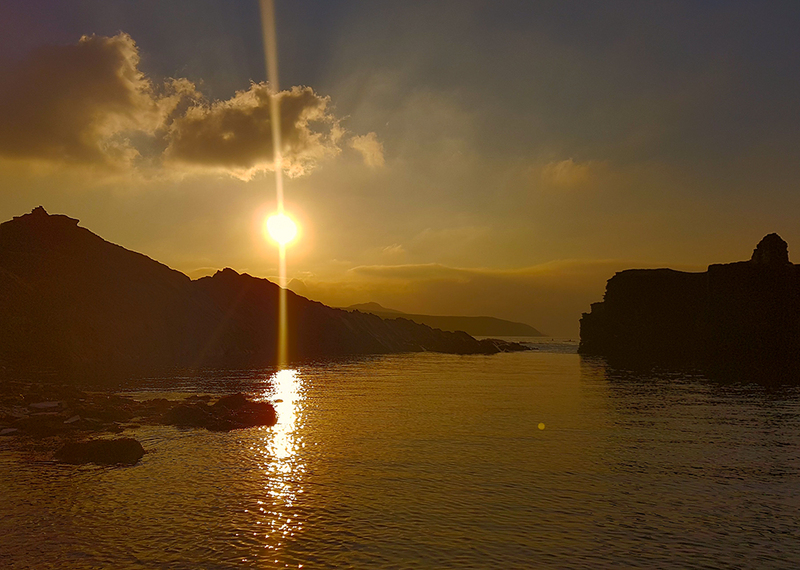 We weren't sure how many members would be up for the change, but were delighted when a good twenty of us arrived on the night, and a thoroughly enjoyable evening was had. It was the first time that we had tried Indiaah, and found the food excellent, and all for a price that couldn't be faulted. We'll certainly return! 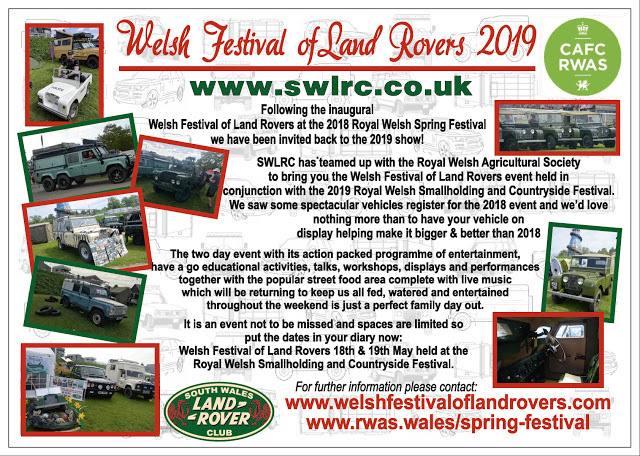 2018 saw the club put on a Welsh Festival of Land Rovers at the Royal Welsh Spring Festival, and we've been invited back to put on another display for 2019 (18 and 19 May). The club is very excited at the prospect, and plan for 2019 to be even more impressive that last year! It is with great sadness that we have learnt that our friend and member Gwyn Williams has passed away. Both Gwyn and his lightweight were very popular within the club, and will be deeply missed. We send our condolences to Gwyn's family and friends. 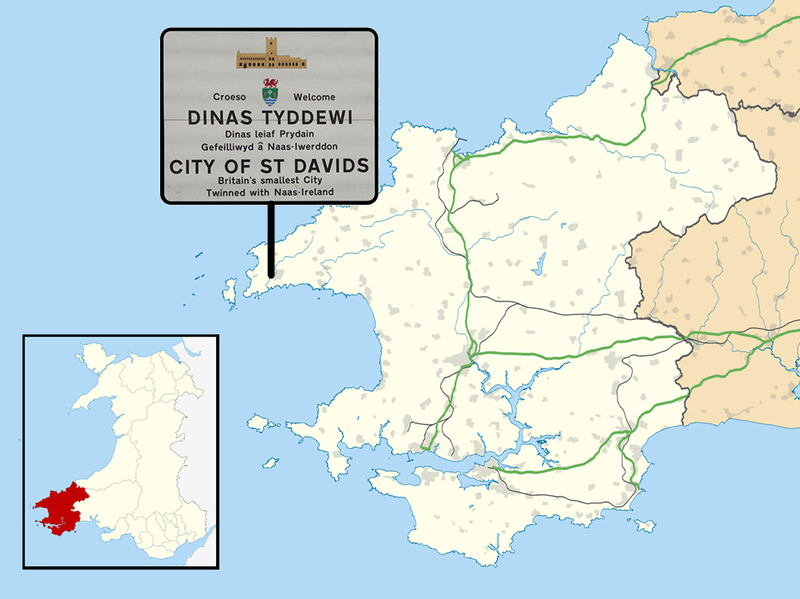 There's now less than a week to go until the St Davids Tour, and the club is getting very excited! 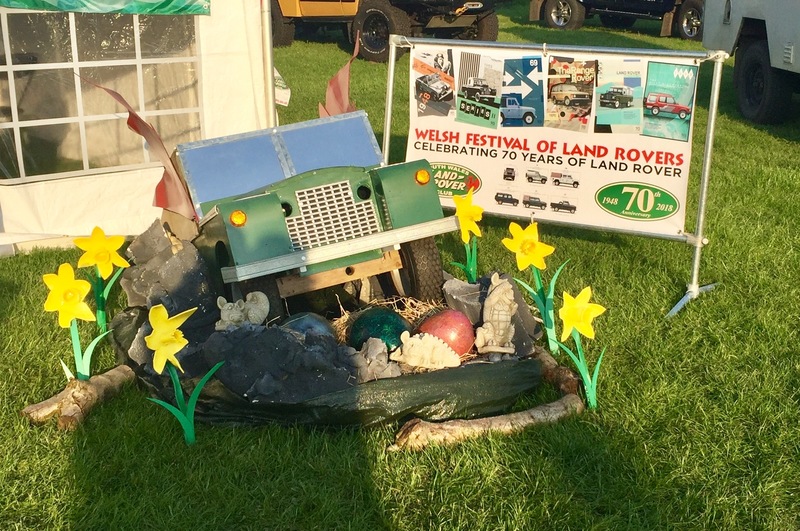 The weekend of 19 and 20 May saw the inaugral Welsh Festival of Land Rovers at the Royal Welsh Spring Festival in Builth Wells. 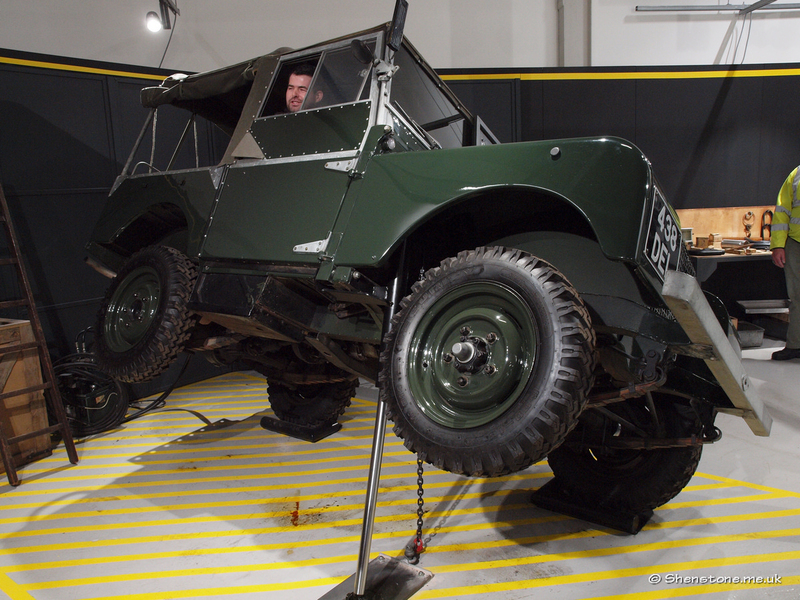 The weekend was the culmination of several months of hard work between South Wales Land Rover Club and the Royal Welsh organising committee, and saw close to forty Land Rovers, ranging from 1949 to present day, on display at the Royal Welsh showground. 2018 membership fees are now due for the majority of members! This year’s membership remains fantastically good value at £20, and we’d obviously love everybody to renew! One of the things affecting our membership records this year are the new General Data Protection Regulation (GDPR) rules that come into force next month. Basically the GDPR says that we cannot hold a person’s private information for longer than is necessary, or use it for a reason that it has not been provided for. Have the lengthening days started you thinking, like us, about long summer days and camping? Then why not sign up to join us on the weekend of Friday 15 to Sunday 17 June, when we will be winding our way westward to the Ancient City of St. David's in Pembrokeshire? (We obviously won't be travelling in a straight line though - the journey could possibly go as far north as Mid-Wales...).